When it comes to summer time, I love the beach and being outside, but it's important to remember to protect myself from the sun. That's why I love Sun Bum. One in five of us will get skin cancer due to sun exposure. But you can cut YOUR risk by 80% if you regularly use sun care products. 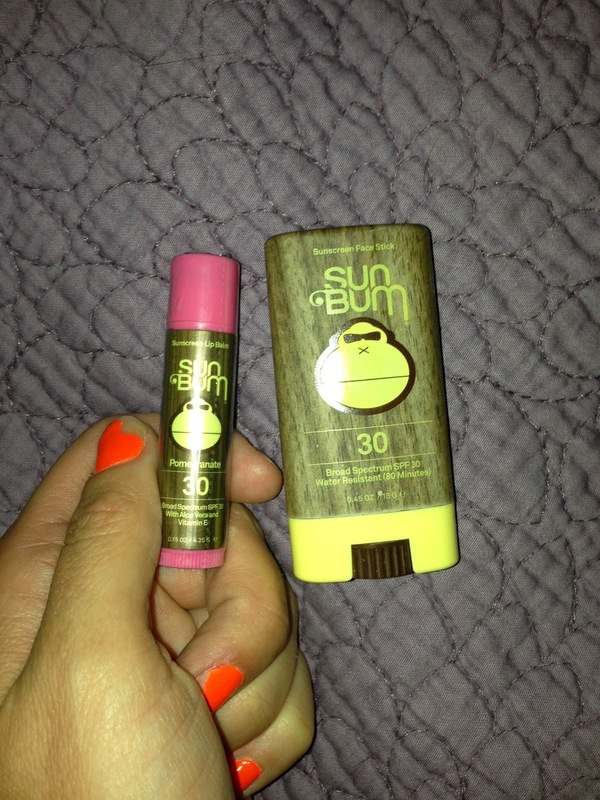 Sun Bum created their line of high quality products for people that live in and love the sun. If you like the outdoors you can't hide inside obviously, so they made sure that they created sunscreens that are tested, approved, and recommended by The Skin Cancer Foundation. This way, you can use their products and know you are getting the proper protection you need! I received a face stick and an SPF chapstick from Sun Bum. The SPF 30 Pomegranate lip balm not only tasted amazing on my lips, but it did a great job of protecting them from the sun so they didn't get burnt while I was at the beach a couple of weeks ago. The SPF 30 Face Stick was great for me because I am always reapplying sunscreen to my face but I don't like touching it myself. This stick allowed me to apply sunscreen and not worry about rubbing my sandy, gritty hands all over my delicate face. I didn't get burned and I even protected my nose properly, which ALWAYS burns. It went on smooth, didn't leave a gross greasy residue, and it smelled very pleasant. The stick is compact and easy to toss back in your handbag or beach bag. Don't be a fool...protect yourself anytime you are out in the sun! You'll be glad you did, I promise!